Brian O’Connell of Troop 19 will be at Miller Field, at the old Airplane Hangar. It is located at the bottom of New Dorp Lane off of Cedar Grove Street. His project is taping and painting 22 10 x 10 foot panels on the hangar and doing graffiti removal. He needs about 30 voluneers to complete the project that day. He needs adults to do the ladder work and chemical removal of the graffiti on the concrete. The purpose of the project is to clean the landmarked building (only one side, not all of it) and make it more pleasing to the eye for the NYC bike trail that runs past it. It was just opened up officially on July 8th. The Mets will once again be hosting our annual Scout Day at Citi Field on Sunday, September 23rd, for the 1:10 p.m. game versus the Miami Marlins. Please take a look at the attached flyer for more information. If you would like to have your troop or pack participate, and/or if you have any questions, please don’t hesitate to reach out to me. And if you cannot attend the September 23rd game but are interested in bringing your scouts to another Mets game instead, let me know and we’ll try to work something out for you. Thank you and your scouts for your interest in and support of New York Mets baseball! The volunteers & professional staff of GNYC have been hard at work over the past few months and have some BIG announcements for you! First off, head on over to bsa-gnyc.org and check out the brand new design of our Council website. As you’ll see, Activities, Camping, and Training now have their very own tabs on our homepage- allowing for an easier, more intuitive experience. Next up, the GNYC Program Committee is pleased to announce the first annual GNYC Activities, Camping, and Training Brochures! These brochures put every upcoming event throughout GNYC at your fingertips, and help make planning your Scouting year a breeze. We encourage all of you to venture out and meet Scouters from the eight Districts that make up Greater New York Councils. Lord Baden Powell visits Madame Tussaud’s! We’re encouraging each of you to come out and be a part of this fantastic Scouting opportunity. But the fun doesn’t end there. Your Scouts are sure to enjoy the Marvel Action Heroes installment, recieve a limited-edition Scouting Patch and limited-edition Marvel Action Heroes poster as well! Take a look at the attached flier and sign up by calling (866) 841-3660 or email groupsales@madametussaudsny.com. I know quite a few of you but for those I’ve not yet had the pleasure of meeting, my name is Matt Gaor and I’m the District Membership Chair for Aquehonga District. My role within the District is to work with your Troop leadership team to help retain the Scouts you currently have and to help guide you with recruiting new Scouts. Quite a big job when you consider that we currently have 32 Packs, 30 Troops and 8 Venturing crews for a total of 2,363 Scouts on the island! One of the many concepts that we share with our Scouts is one of being a part of a team, and how a well run team can accomplish tasks well beyond that of an individual. That’s the basis for how we run our Scouting program; Scoutmasters, Asst Scoutmasters, Scout Patrols, various Committee members and parents come together to create the magic of Scouting. In 2011, the National Council’s Awards Committee conducted a review of the hundreds of awards presented to Scouts and adults in the BSA. Many recommendations were made to update procedures and the awards themselves. 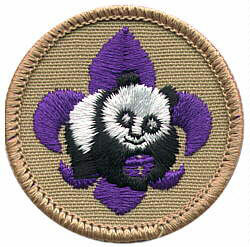 Many of you already have Citizen in the World, and Environmental Science merit badges. Something to think about if you haven’t completed your merit badge selections. Please visit www.bsa-gnyc.org/PR and share this link with fellow volunteers to help the Council engage in a grassroots PR effort to gain free publicity in community newspapers throughout the city. The information provided includes information on what is newsworthy, press release writing tips, press release samples, and a community newspaper contact list. Staff and volunteers are encouraged to submit positive Scouting stories taking place in their service areas to the relevant papers. Stories on new Eagle Scouts, service projects, Pinewood Derbies, community fundraising events and the details on when/where new units meet are just some of the items that may be of interest to local papers. Together, we can raise awareness of all the great things that Scouting is doing for our community. The Healing Garden Living Memorial located between Richmond Road and Targee Street, Clove Road and Targee Street needs guys to pull out long grass that grew in between shrubs and some pruning. Will take about 2 – 3 hours. The Seaside Nature Park located down Nelson Avenue on the water needs guys to clean up some dried seaweed that came up onto the boardwalk and pick up litter that accumulated in the wetland next to the boardwalk. I am not sure how deep the wetland is but if they had a rake they could rake in the garbage which would be better. I am interested in paying a troop to do some work during the summer at The Healing Garden also . It is with mixed emotions that I inform you that Rob Christy has accepted a District Director Position with the Denver Area Council effective August 1st. Rob’s career with the Boy Scouts of America began working as a lifeguard at Ten Mile River Family Camp during the summers of 2006 and 2007. After completing the summer of 2007 at Ten Mile River he became a full-time professional with the Greater New York Councils serving as a District Executive in Staten Island Aquehonga district. During his tenure as District Executive he continued to work at Ten Mile River serving as the director of the Catskill Adventure Base during the summer of 2008. In October of 2010 he was promoted to Senior District Executive giving direct leadership to the Aquehonga district committee and Staten Island membership campaign.